Mateo, an extreme sports participant and avid mountaineer, was responsible for taking our small group of adventure seekers to the Pacific Coast of Colombia. On the very edge of some of the world’s most impenetrable jungle lies the state of Chocó, Colombia. This municipality stretches along the west coast of the country and is the only municipality in the country to have shores on the Pacific and Caribbean Coasts. Unbeknownst to us, it is also one of the wettest places on earth. With only minimal waterproof gear and a fresh box of plastic bags, we boarded a short flight to the small town of Bahía Solano, in Chocó, Colombia. (Interestingly, the town is only accessible by plane or ship because the surrounding jungle makes it impossible to maintain a secure road through the region.) Our journey didn’t stop in Bahía Solano, however, and we boarded a small boat for a 30min journey to Playa Hunia where our fabulous hostess and her gigantic German Shepard (seriously, the biggest dog I have ever met!) was waiting to greet us. Soaking wet and carrying our plastic wrapped belongs, we spent the afternoon drinking Tinto (classic Colombian coffee), exploring the local beach after the afternoon thunderstorm passed, and napping in hammocks. 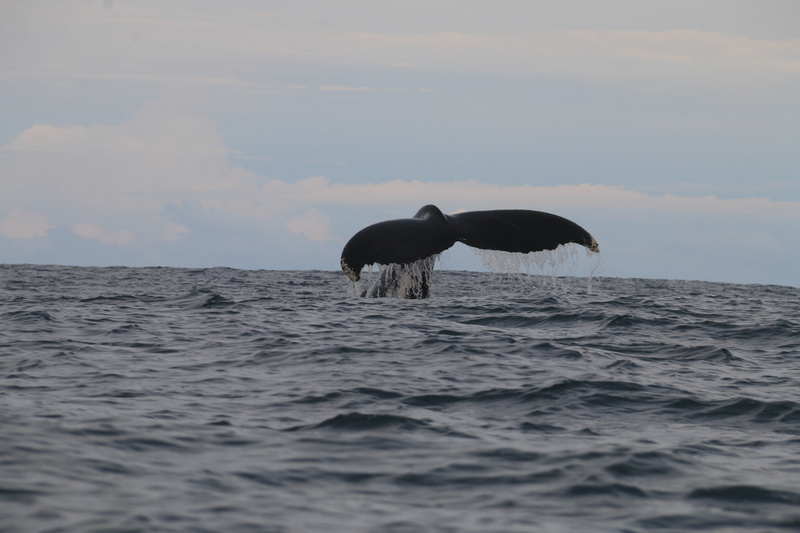 Our mission in Chocó was simple – Humpback whale watching. Every year between July and October, Humpback Whales or Ballenas in Spanish, travel to the Pacific coast of Colombia to spawn and give birth. 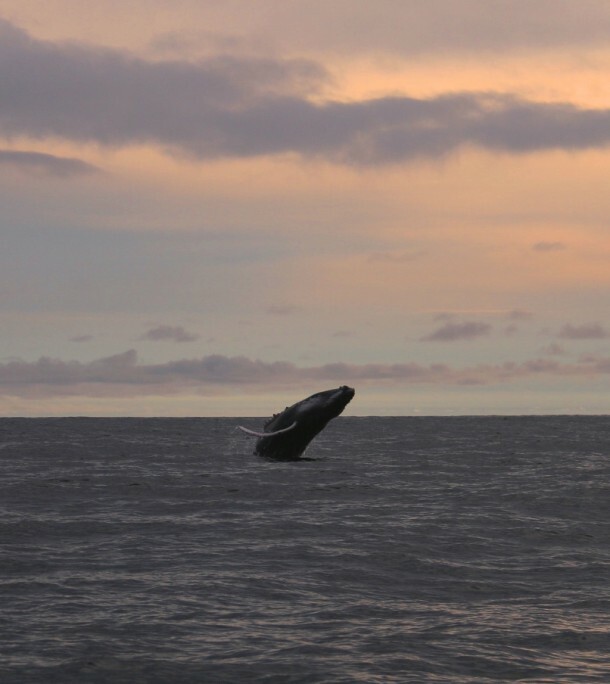 They migrate over 16,000 miles per year and eat large amounts of krill and small fish. Once nearly extinct, their numbers have increased and they are now considered to be of “Least Concern” on the Conservation List. 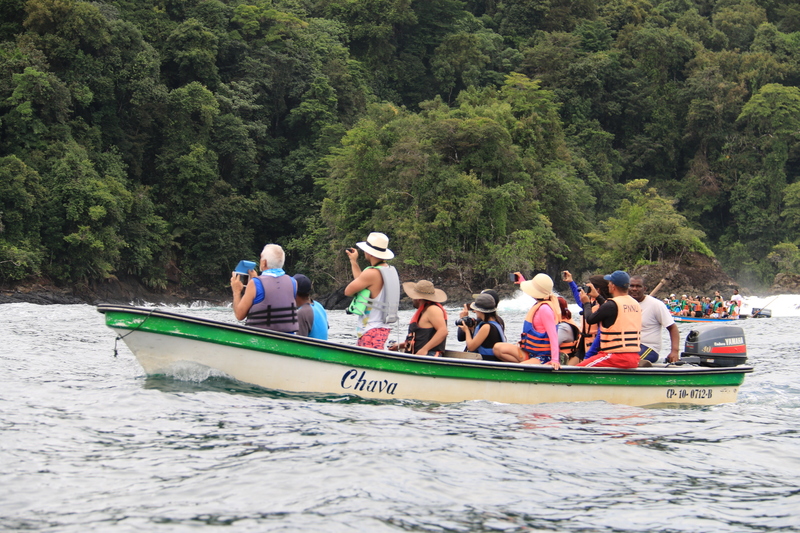 Our first day of whale watching was a bit unnerving as the boat we boarded seemed incredibly tiny compared to the HUGE ocean waves and the even larger WHALES. However, all of that was instantly forgotten the moment we spotted a humpback whale leaping out of the water to twirl in the air and crash back down into the water. It’s a bit like Walt Disney’s Fantasia without the tutus. I was incredibly shocked and awed, and I couldn’t wait to see more. We spent 2 hours in the boat riding along the coastline heading towards Utría National Park. The coastline is rugged and carved out of rock which immediately turns into jungle, the deep green of which contrasts beautifully with the blue of the water. Occasionally, you’ll be able to see a few houses or villages, but it feels like you’re heading into the middle of nowhere. 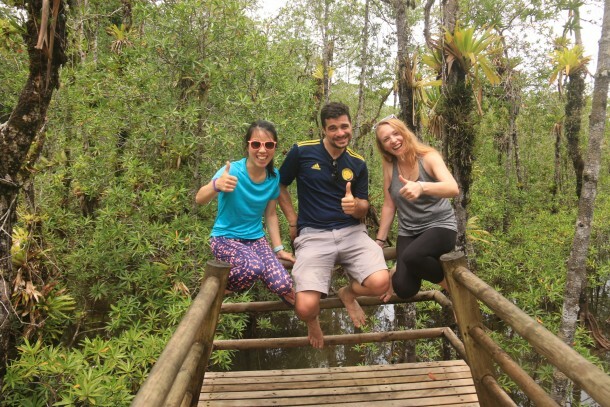 Utría National Park is gorgeous and features a plethora of wildlife, mangrove boardwalk, and hidden beaches. Close by is Playa Blanca which is perfect for lunch and snorkeling, and yes, we got sunburned…. More adventures in Part 2. Stay tuned for the good stuff!! Filed under Discovery, Get Ready, Photography, Trekking. Tagged adventure, choco, colombia, projectcordillera, travel.